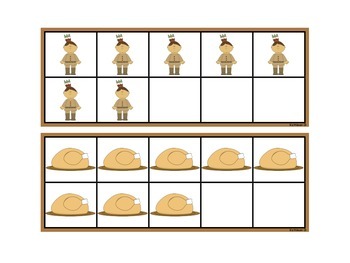 Here are four Thanksgiving themed math stations that are easy to prep. 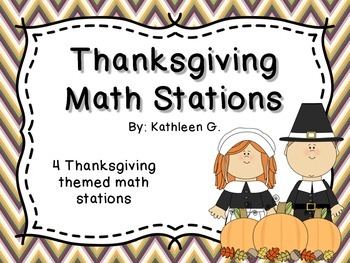 These stations give your students practice with numbers 0-20 in the following skills: greater than/less than; students look at two numbers and pick the great or small number depending on the recording sheet; ten frames counting; patterns; and counting on. There are recording sheets for each station with some having two so you can practice different skills and differentiate. 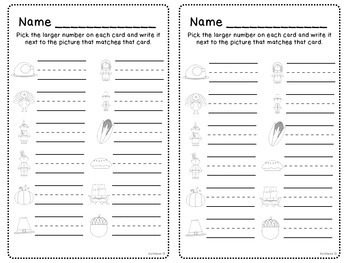 These stations are designed for easy prep - several students can share one set of cards, hang around the room for write-the-room, or make a set for each child in the group if you choose. 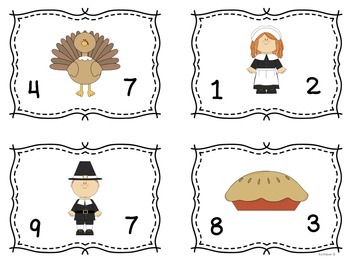 Please note my Thanksgiving Number Sense and Thanksgiving Counting the Harvest stations are both included in this set. Click the links to see more pictures of each.